Turkey is no longer just for Thanksgiving. Today, people everywhere are cooking turkey breasts. 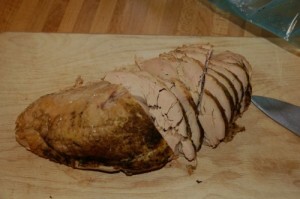 Turkey breasts cook in half the time of traditional whole turkeys. In this recipe, we will show you how to cook a turkey breast in half the time you are used to. Before preparing the turkey breast, rinse in cold water and pat dry with paper towels. In a small bowl soften garlic, butter and your choice of seasoning. Mix the ingredients thoroughly. Place the turkey breast in a large baking pan. Spread the butter mixture over the turkey breast. Make sure the breast is covered completely. After the turkey breast is covered, cover the pan with aluminum foil. This will keep the moisture in and prevent you from having dry turkey. Bake the turkey breast at 350 degrees. Your baking time will depend on the size of the turkey breast. You should bake for 20 minutes per pound. When the internal temperature reaches 160 degrees, the turkey breast is done. Remove the pan from the oven and discard the aluminum foil. 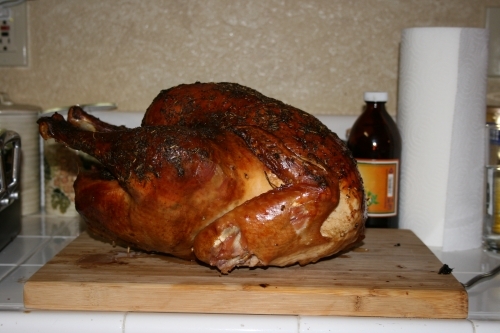 Cooking a turkey may seem intimidating, but it is actually very easy. All you need are a few basic ingredients and plenty of time to allow the meat to bake to juicy perfection. 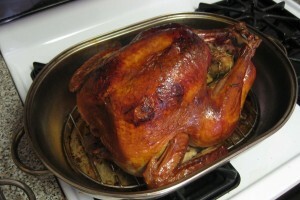 Find out how to cook a turkey in the oven with these tips and instructions. First, prepare your bird by removing the giblet bag and neck and preheating the oven to 325 degrees F. Mix one-quarter teaspoon each of dried sage and rosemary with a pinch of salt in a small bowl. Gently coat your turkey with three tablespoons of olive oil and sprinkle on the spice mix. Lay the bird breast side up in a roasting pan. Add about one inch of chicken broth. Cover with a loose tent of aluminum foil and put in the oven. Cooking times will vary depending on the weight of the bird. For example, a 14 pound turkey will take about four hours to cook. Your turkey is ready when the thigh reaches a temperature of 165 degrees F. Cooking a turkey in the oven is a great way to ensure a juicy, flavorful bird with all the nutrients but not the excess fat of other cooking methods. Now you know how to cook a turkey in the oven. What should you enjoy with the main course? Turkey pairs well with roasted potatoes and winter vegetables such as carrots, turnips and Brussels sprouts. As turkey is high in protein, B vitamins, selenium and zinc, but low in fat, you known you are serving your friends and family not only a delicious meal but a healthy one as well. The new filet mignon is surely turkey breast. 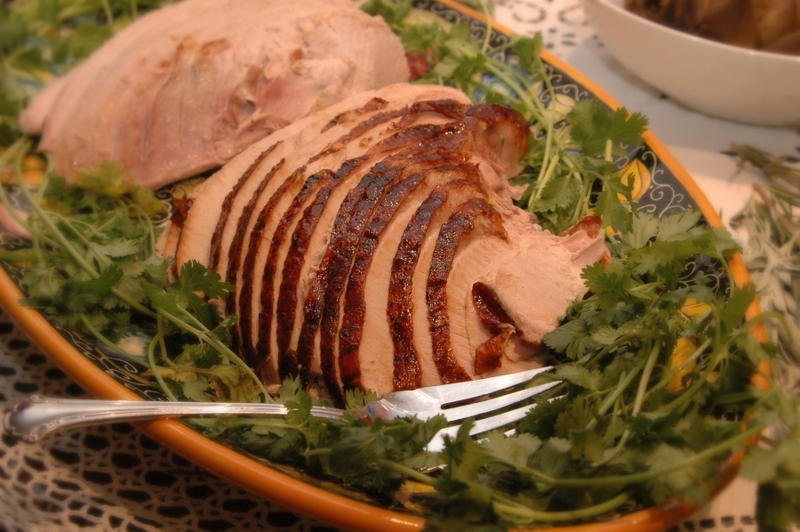 Low in calories, sodium and fat, rich in protein and tryptophan (generator of mood enhancing serotonin), turkey breast can be juicy, challenging most dark meat lovers’ beliefs! Learning how to cook a turkey breast is easy! Rinse the breast well, and pat with oil on all sides. Your shallow baking pan should also be lightly oiled with the same. Blend dry ingredients together on a plate, then coat breast entirely with mixture. Place breast in the pan already oiled and with the water. Cover with foil. Bake at 325 degrees for 25-30 minutes. Compliments include a reisling or chardonnay, baby rose potatoes, green beans, and a light, tangy dessert such as key lime or lemon pie. Enjoy your new best food friend! Learning how to cook a turkey is easy! The easiest way to prepare a turkey is to roast it. 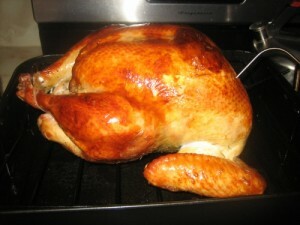 For high temperature roasting, put the turkey on its side, on a rack in a roasting pan. Layer slices of salt pork over the breast and rub the bird down with butter. Put in a preheated 425 degree F oven for fifteen minutes, then turn it over and roast for fifteen minutes on its other side. Reduce the heat to 375 degrees F and continue roasting, turning the bird from side to side and basting it with its own fat. The time for roasting should be twenty minutes per pound. Put the turkey on its back for the last fifteen minutes. Wines that go well with turkey are chilled beaujolais nouveau, verdicchio, fumé blanc and zinfandel. Wild turkey might be served with petite sirah or a barolo. Turkey is often eaten with sweet potatoes, stuffing, and cranberry sauce. Turkey is high in protein and tryptophan, an amino acid that helps cause that sleepy feeling a diner gets after they’ve had a turkey dinner!